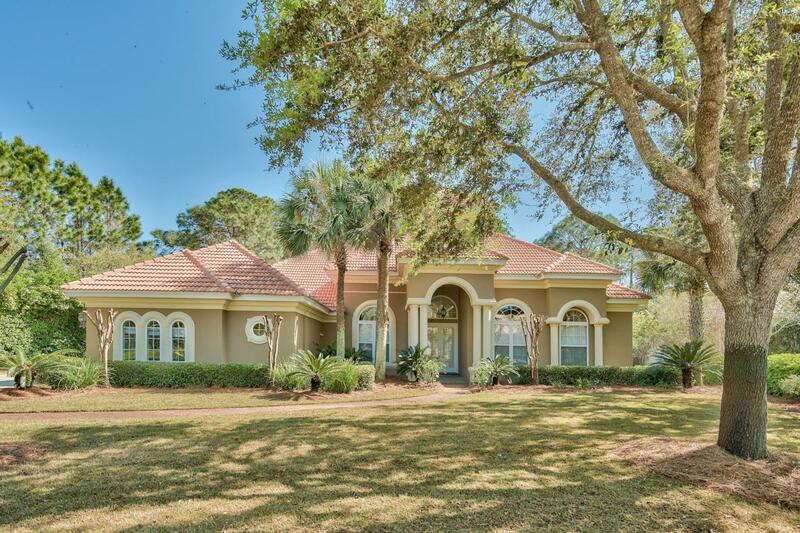 Located on a private end lot and shielded by greenery, this Mediterranean-style home was built for Florida living. The 0.67 acre lot creates one of the largest back yards in Burnt Pine with shady mature pines and ample space for the three-car garage and capacious storage. 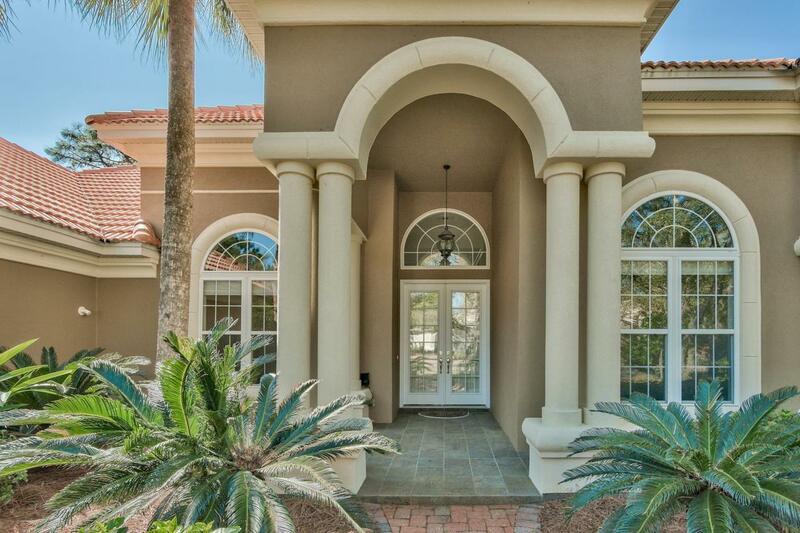 Set in Burnt Pine, one of Sandestin's most exclusive gated neighborhoods, the home has a study which would make a nice fifth bedroom if required. Laid out on one level, the split floor plan separates the guest bedrooms from the luxurious master suite overlooking the pool with double closets. New HVAC with 12 year warranty and 2 year maintenance as of April 2019. Total home water filtration and tankless water heater for eco-efficiency, this beautiful home combines attractive architectural features with practicality.Twelve foot ceilings with crown molding create a sense of space and airiness. The spacious family-size kitchen is clearly the heart of the home with warm wood cabinets enhanced by dark granite counters and black appliances. Perch at the bar for breakfast before heading out to play tennis or a round of golf on the championship course. 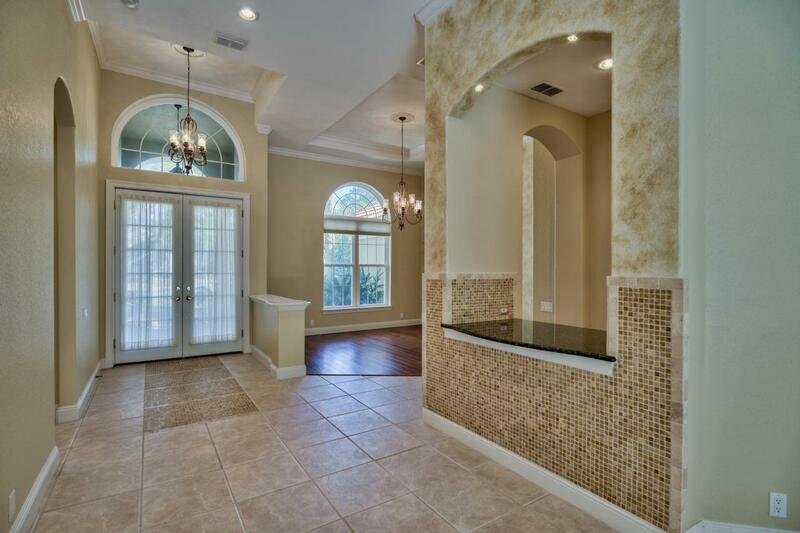 The kitchen flows into a family area with fireplace and a breakfast nook with peaceful pool views. Sliding doors open to provide an integrated indoor/outdoor living space which is particularly useful when entertaining. The generous outdoor living area includes a summer kitchen and L-shaped pool within the huge mansard. 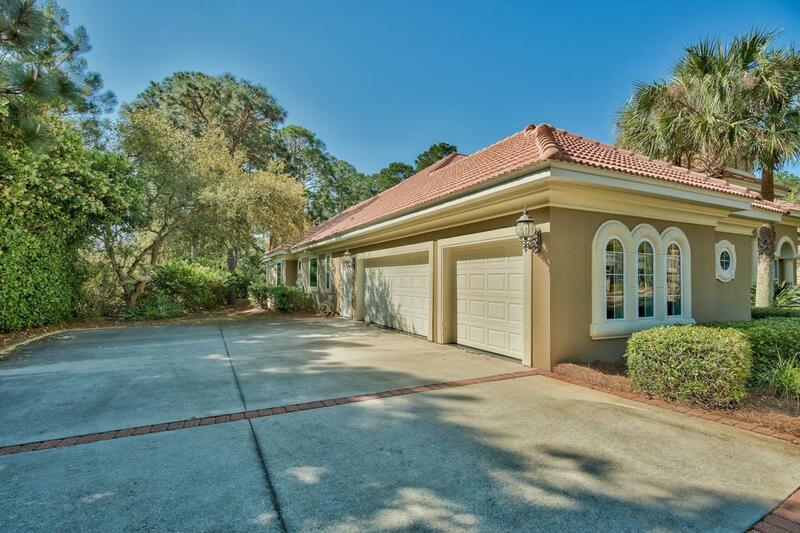 Owners may enjoy the Sandestin Golf and Beach Resort amenities including access to Choctawhatchee Bay for fishing, boating and water sports. Nearby, the sparkling white sandy beach, emerald gulf waters and Topsail Hill Preserve State Park provide endless opportunities for outdoor recreation.